A Mississippi weapons expert is helping churches train security teams to prevent a shooting rampage like the one over the weekend in Texas. MPB's Desare Frazier reports. "On my mark. On your mark. Ready, set, fire." 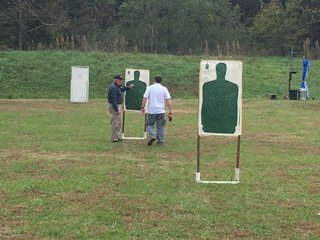 Weapons instructor Clyde Morgan is practice shooting with one of his client. 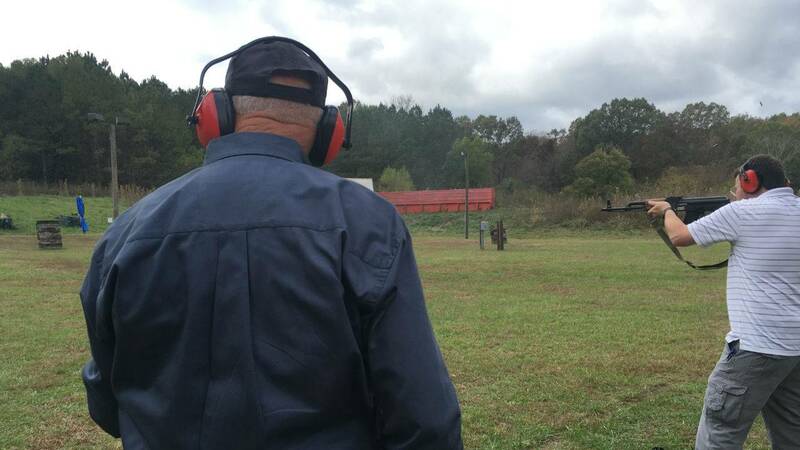 Morgan, a Vietnam Veteran is an expert marksman and operates a training center in Forest. He says the increase in church shootings including the one Sunday in Texas, is leading to more inquiries from churches seeking help with security teams. Morgan says there is a shift in attitudes about guns in churches. "The churches have had to deal with that mental attitude of going to a place where they could relax and lower their guard to now having to be on guard. It's taken them a while to understand that there are people who will take advantage of gun free zones," said Morgan. Clyde Morgan and Caleb Crosby at Precision Shooting Ctr. Morgan says churches select people who are familiar with firearms for the training. His rules are: the team must accept responsibility for taking human life and be willing to give their life to save a church member. If they hit an innocent person they take responsibility for that and once the shooting is over, they must give first aid to the attacker. Caleb Crosby is a deacon at a Baptist church in Scott County. He's trained with Morgan and the church is working towards creating a security team. "I pray to God that I'm never put in a situation where I am forced to stop a man by taking his life. But I have accepted that is the world we live in. So, no there's no hesitation or conflict in me at all about it," said Crosby. Last year, state lawmakers passed the Mississippi Church Protection Act. It gives churches the authority to have armed security teams. If a violent attack occurs, they're immune from prosecution in the event someone is killed.